Our doctors and staff take a personalized approach to ensure your vision needs are properly evaluated and that the right solution is delivered. You will receive the highest professional service and care from the moment you walk in the door to the conclusion of your visit. Providing you and your family with the latest in eye care technology and innovation is a steadfast commitment by the highly trained and experienced doctors at Greenville EyeCare. As doctors of Optometry, our physicians are deeply knowledgeable about all aspects of eye care services that help improve the vision of our patients. With extensive vision health expertise, our doctors know how to diagnose, treat and manage your visual conditions. This level of quality patient care is maintained by continuously pursuing educational training and opportunities to enhance the services they provide. 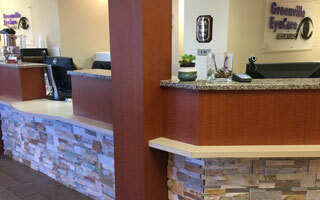 Each time you visit Greenville EyeCare, your doctor will always treat your vision health needs as a top priority. Each time you visit Greenville EyeCare, your doctor will always treat your vision health needs as a top priority. 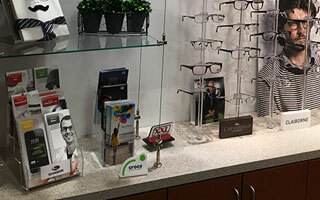 When you visit our onsite Optical Center, you’ll receive personalized service from our one of our opticians. Our optical team members will assist you with eyewear frame selection, contact lens fittings, and general care for your glasses or contacts. To make your eye exam the most comfortable experience possible, our team of technicians will assist you through the entire process. 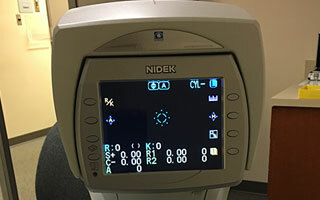 Each of our technicians has been trained extensively to assist our doctors in performing all exam procedures and testing for your vision screening. Whether visiting Greenville EyeCare for your annual eye exam, to select a new pair of glasses or even to place an order for contact lenses, our administrative team is here to ensure your needs are fully met. Our team members are available to answer questions about insurance coverage, billings, service fees or general questions about Greenville EyeCare.